One of Central Florida’s best free art events is the annual Winter Park Sidewalk Art Festival, and you’ll have a chance to enjoy it when it returns March 16-18, 2018. 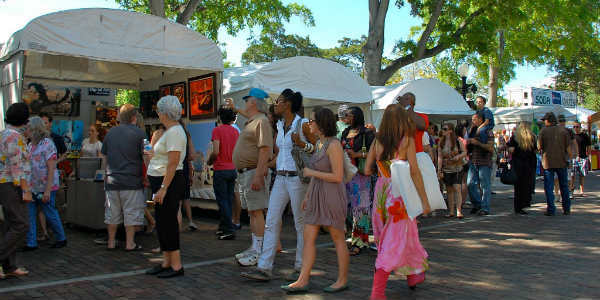 The event features over 200 fine artists from around the country exhibiting their works in Central Park and along Park Avenue in Winter Park. The free weekend art fest also includes live entertainment, and a Children’s Workshop Village where the little ones can create their own works of art. The festival runs Friday and Saturday from 9am to 6pm, and Sunday from 9am to 5pm. Admission is free. For more information, visit wpsaf.org.